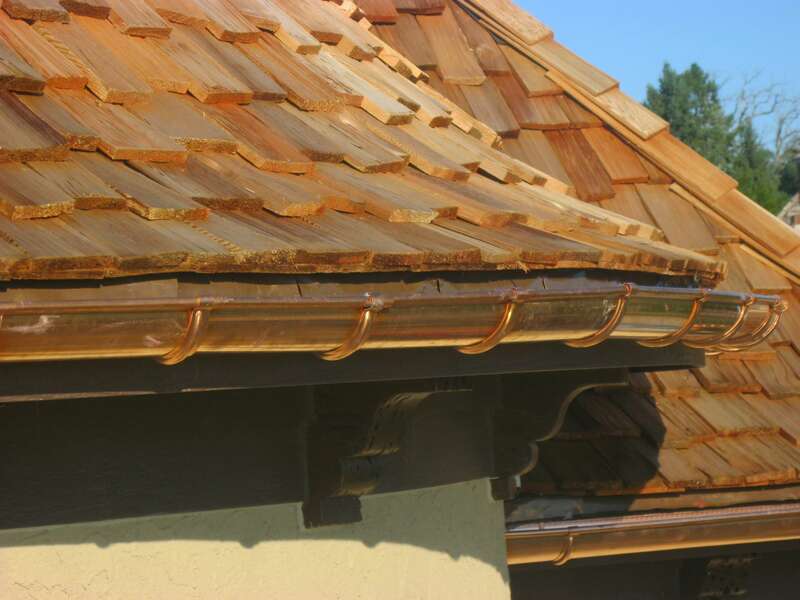 There is a lot of information to digest when considering a new wood roof. One of the more important items is the species of the wood. Different woods have different characteristics that will play a large role in maximizing the durability while dramatically changing the appearance of your home. Typically, most cedar roofs are Western Red Cedar which account for the vast majority of wood roofs installed today. Another lesser considered option is the Alaskan Yellow Cypress (often misnamed Alaskan Yellow Cedar). We’ll take a look at some of the characteristics of each of these species of wood to help you find the best product for your installation. Far and away the most plentiful of all of the softwood timbers in Western Canada, Western Red Cedar is, and has been, the standard for wood roofs, timber frame construction and log homes. It is one of the lightest of all the softwoods and does not need to be heat treated before exporting so it is very cost efficient to ship. It is twice as stable as many of the softwoods, Western Red Cedars’ natural oils make it extremely decay and insect resistant. The wood dries relatively quickly and thus has very little shrinkage which makes it both durable and weather resistant. Produced in much smaller quantities than the Western Red Cedar, Yellow Cypress has some very unique charachteristics that make it much more decay resistant than Western Red Cedar. Cypress grows in the much higher elevations that have much shorter growing seasons and the result is a heavier wood (approximately 1/3rd heavier than Western Red Cedar) because of its tight growth rings. It also has more natural oils that are responsible for the decay resistant properties that protect it against the various elements. Cypress has typically been used boat building and bridge stringers because of its structural strength but is now commonly used in roofing becausae of the esaclating prices of Western Red Cedar over the past few years. When left to weather naturally, Yellow Cypress turns a very unique and beautiful silver gray color.